What are the “Liberal Arts” Anyways? Ever since I have come to Emory, I have been bombarded with the term “liberal arts,” and until recently, a satisfactory definition as to what they include has completely eluded me. It is true that I have encountered numerous people who are prepared to attack or defend with a dogmatic fervor the value of whatever vague concept lies behind this name, but I have yet to meet anybody who has given me a proper explanation as to what the liberal arts actually are. In this article, I am concerned with giving an account as to what I believe the “liberal arts” constitute, in an attempt to facilitate productive discussion on this topic in the future. I will begin by attempting to define the term negatively – that is, in terms of what it is not – for I have found most positive definitions are intolerably vague. 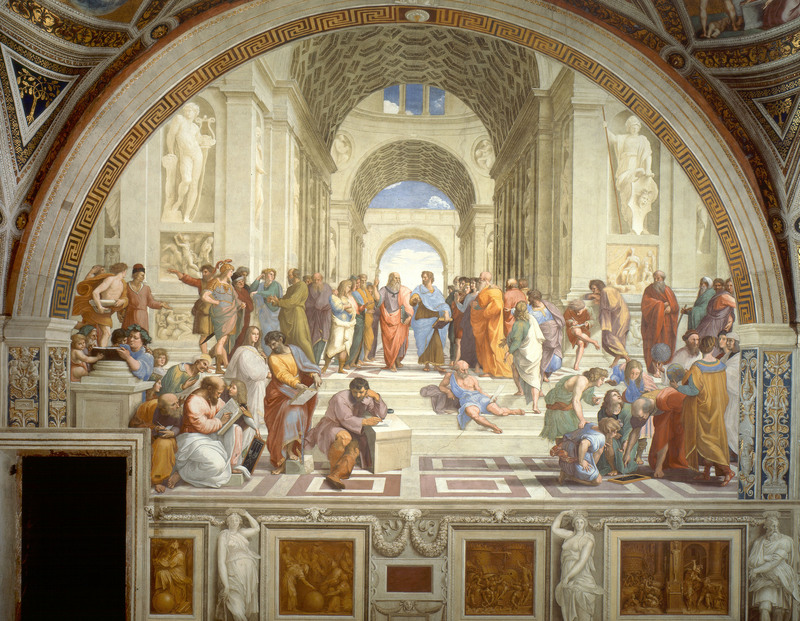 People are likely to praise the liberal arts on the grounds that it creates “active” and “responsible-minded citizens,” that it prepares students to be the “intellectual leaders of America” and so on, but in so doing, these people have only given what they believe the effects of a liberal arts education are and not what a liberal arts education itself actually is. I have found, however, that people describe liberal arts education much clearer when asked to contrast it against, for instance, pre-professional education. The ends of the pre-professional education are clear enough. They aim at preparing the individual to excel at some narrowly defined craft, as law school attempts to make good lawyers, culinary school good chefs, medical school good doctors and so on. By a similar methodology, we may initially be eager to ask ourselves what craft the liberal arts aim to cultivate, but we would find ourselves sorely disappointed in that regard, since the “liberal arts” encompass such a wide variety of fields that it would be futile in this manner to find a narrowly-defined animating principle that binds them all together. The wide scope of the liberal arts, no doubt, is the reason why both proponents and critics of it have had such difficulty debating its value or lack thereof. Therefore, what I would like to do is, in the first place, divide the liberal arts into two classifications, those of the practical arts and those of the theoretical arts. The division between the practical arts and the theoretical arts may very broadly be thought of with respect to current divisions between the humanities and the natural sciences, but even these divisions are not so clear-cut, as we soon shall see. It is unfortunate that the word “practical” is host to a whole slew of ambiguities. In one sense, for instance, the craft (e.g. cooking, doctoring, etc.) is called practical, because it aims at affecting some specific external end. I, however, wish to distance myself from the practical in the sense of a craft in favor of a definition of “practical” that aims at good human activity as taken as a whole. In this sense, the end of the practical arts aims at the exercise of ethical action and the development of moral character. This open definition further complicates the end of the practical arts as opposed to the end of crafts, however, for it is much easier to determine what makes a good lawyer, chef or doctor than it is to determine who is to be considered an ethically good person. On account of this difficulty, it is clear that the practical arts to some extent also aim at developing the knowledge of its own aims, if you will permit me the use of this infelicitous phrase. That is, the practical arts aim not only at the development of good character in itself, but additionally at the development of the practical wisdom needed to understand by what activities and in what manner a good character is achievable. Examples of the practical arts may therefore include history, psychology and political science, for history allows us to obtain practical wisdom from the mistakes and successes of our forebears, psychology allows us to understand the individual motivation of human actors, political science enables us to understand these motivations and their consequent activities taken as an aggregate. The “theoretical arts” may best be defined as those arts that do not aim at anything inherently useful outside of themselves but are nevertheless felt to be intrinsically valuable, possibly because they fulfill the innate human need of understanding something for its own sake. The Greek philosophers have long since held that the minds of human beings are two-fold: one half of it, they alleged to be worldly, and the other they alleged to be divine. As opposed to the “practical arts,” which we have said aim at the development of the “worldly part” of the human soul, the “theoretical arts” are concerned with the exercise of the “divine part” of the human mind and with sating our natural sense of curiosity that first led us to steal fire from the Gods. It is this part of our soul that aims at finding absolute truths and at establishing the stable underlying first principles of the world of beings; through the cultivation of the divine part of the soul, we come closest to unfolding the coiled “account” (λόγος) that underlies all the universe. Examples of the theoretical arts therefore include: mathematics, physics, theology – for mathematics aim at the abstracted first principles of the forms themselves of knowledge, physics aims at the underlying determining principles of the world of appearances, theology aims at the confrontation of the Absolute Being whence we dimly feel all entities and their modalities emanate. Yet it is clear that not everybody who studies physics is studying it qua theoretical, nor everybody who studies history studying it qua practical. Most medical students, for example, study physics in the capacity of a craft useful to them only insofar as it allows them to practice the craft of medicine. Likewise, the graduate student of history may incidentally study history qua practical (insofar as he believes that in studying it, he necessarily develops his sense of ethical character), but the graduate student is primarily studying it qua craft, because he hopes to do well enough in history so as to build the skill-set necessary for the sake of doing academic work. It is clear, then, that the liberal arts are not liberal arts only as a result of the objects of the field of knowledge with which they purport to deal, but they are liberal arts also in respect to the motivations of the subject who studies them. The liberal arts are most perfected in the subject who studies both forms of them for their proper purposes — the development of both ethical action and the contemplation of the first principles — and for no other reason save for the purpose of cultivating these two ends, except incidentally. In studying the liberal arts, the individual therefore cultivates themself to the fullest of their potential as a human being, for such an individual exerts themself to the greatest possible extent in accordance with the excellences of both parts of the human soul. The act from which I have hitherto refrained is that of positing an answer to the controversial question of which form of education is “better,” the “pre-professional education” or the “liberal arts education.” My answer to this difficult question no doubt requires further thought, but it is clear that both of them are required for the full functioning of the individual in the context of a society, for while the “liberal arts” thus described have only concerned themselves with developing the individual as an individual, the “pre-professional education” concerns itself with developing the individual as a productive member of society. These two forms of education are therefore co-dependent in some way, for a functioning human society is necessary for the full exercise of the practical arts (since the “human is by nature a political animal”), and, to some extent, we are also disposed to consider people, who are in general good and virtuous people, better at their respective crafts. But let this further division of the forms of human education be put off for a different time. As to what the liberal arts are, and as to why they are valuable, I believe that my account, as it currently stands, is no less obscure than any other.